We enable media vendors and service providers to build the next generation of OTT and TV Everywhere services. 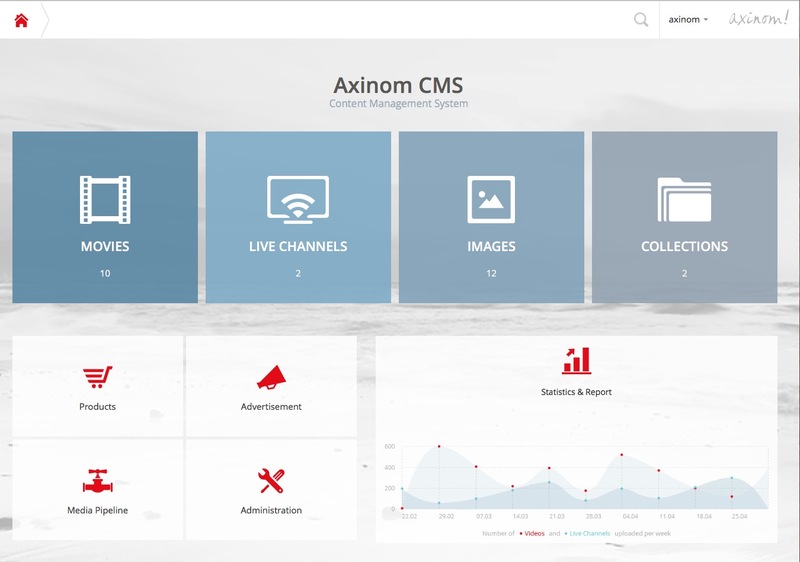 Axinom CMS is a fully customizable and extensible content management system. The system provides media service providers with a fast and cost-effective way to create and deploy powerful cloud-based video platforms. Axinom CMS is, with its most recent updates, targeting two topics – automated workflows and content monetization. These announcements and product developments have numerous benefits for the customers: reduced and simplified editor´s work through highly automated workflows, the convenience of monetizing [premium] content through product management, define the pricing, manage subscription, content and user properties, and more. 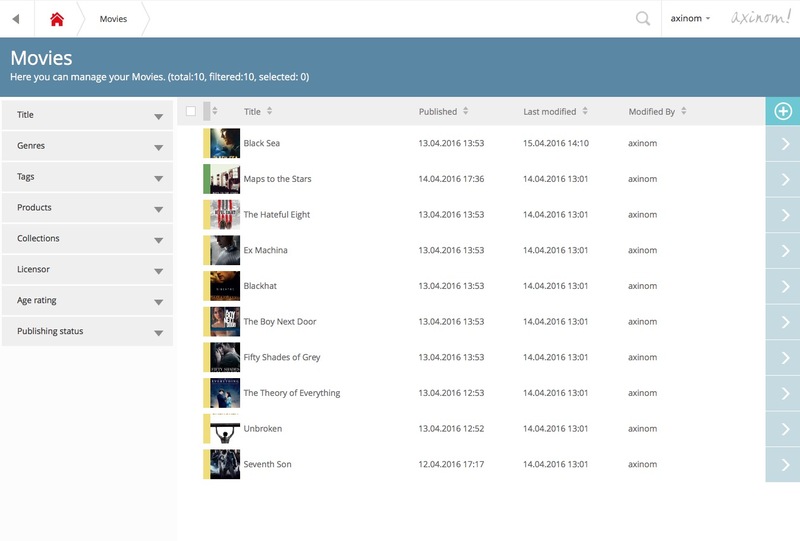 Axinom CMS is an extensible OTT development platform designed to cover the full end-to-end OTT media workflow. The building blocks span media ingest and encoding, asset and meta data management, catalog and product management, digital rights management, advertising, customer management and multi-channel delivery. Other Axinom products like Axinom DRM 6 (Multi DRM) and Axinom VIP (Video Ingest and Processing) are supported out-of-the-box with default workflows for content protection, encoding and transcoding. Axinom CMS supports both cloud-based and on-premise IT infrastructures for a wide set of usage scenarios. Axinom CMS is fully customizable and adaptable to individual requirements and customers’ business needs. The content providers must deploy robust OTT platforms that can adapt to different technologies and business models and bring content seamlessly to all screens. This is the reason why we created Axinom CMS. The customers are realizing the true value of rolling out OTT technologies that can deliver on the promise of convergence. The content providers have the opportunity to increase distribution, drive new revenue streams and improve customer satisfaction. It’s all about the TV Everywhere experience these days. The consumers expect to access premium video on a wide range of devices. The new OTT offerings must replicate the consistent high-quality TV viewing experience. Discover more about Axinom CMS. Get in touch with us!